Over the course of two weeks, all over the world, Radical Islamic groups, including the Islamic State in Iraq and Syria (ISIS), have been running a heated race to exploit the horrific massacre of 50 Muslims during the Friday prayers in Christchurch, New Zealand, on March 15. The massacre was like the “kiss of life” that brought them back to the scene after their influence began to fade away. All over the social media, Islamists have been striving to win new supporters and followers, claiming that the massacre was part of a Western Christian plot to annihilate Islam. 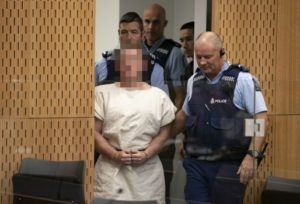 Those Islamic organizations, portrayed the racist assault of the Right-wing extremist Brenton Tarant as a “Christian-Islamic conflict” and explicitly described it as a “crusade” and a “Western attack” on Islam. What prompted the racist murderer to launch his terrorist attack on Muslims – and this is more important – was his racist ideological convictions and not any Christian beliefs or Christian religious texts. The 28-year-old belongs to a White Nationalist movement in the West, a trend that Western media and some Western politicians have begun to speak of as a real terrorist threat that must be addressed. On the other hand, there is a clear contradiction in the Radical Islamic movements’ position on what happened in the mosques of Christchurch: While they show their anger towards the killing of Muslims by the racist terrorist Tarant, at the same time they forget that ISIS killed more than 300 Muslims in a mosque in Al-Rawdah city of El-Arish in Sinai, in 2017, during Friday prayers as well. The rise of terrorist acts perpetrated by the extreme Right in the West, and its appearance in the political scene in Europe, has a direct relationship to the terrorist attacks committed by the violent Islamic organizations. The Islamists movements are striving to destroy the Western culture, and trying to impose their Radical Islamic heritage and believe that it cannot be reconciled with the Christian West. It was expected that violent Islamic groups and Political Islamic movements, like the Muslim Brotherhood and its affiliates, like the Council on American Islamic Relations (CAIR), would invest in New Zealand’s terrorist attack and promote the alleged mutual hatred between Islam and the West. Such White Supremacist attacks would legitimize Islamist movements and incur sympathy for them in the West, and help them penetrate and control Islamic communities in the West. “The Muslim Brotherhood, Al-Qaeda, and their supporters, have been systematically instigating Muslims, over the past two weeks, through social media, and urging them to take revenge for the massacre. Those Islamist groups aim at emphasizing the idea that the position towards Muslims in the “Christian” West is “anti-Islamic,” not simply Islamophobia. The old rule; each action has an equal reaction applies in this context. The upsurge in the extremism of White nationalists in the West will be met by increasing militancy in the ranks of the Islamist movements. The extremist Political Islamic groups have been promoting, in their discourse, the idea of mutual hostility between East and West. This comes in the context of their nostalgia for the glories of the Islamic caliphate and its conquests. They boast of the past invasion of Europe by the Ottomans who stopped at the gates of Vienna in 1529. Their distant agenda for re-conquering Europe, and the West in general, springs from the so-called “World Leadership” ideology, coined by Hassan al-Banna (the founder of the Muslim Brotherhood, and Sayed Qutb). Islamic Supremacists believe that they are the chosen people of Allah, and that they have a burden to lead humanity to her wellbeing, and establish Allah’s kingdom on Earth. This “dream” or fantasy have led many Islamic movements to focus on plans to control Europe, where they have established many Islamic centers. Their goal in that is to infiltrate Western political decision-making institutions and departments. While Islamist groups exploit the New Zealand massacre to inflame Muslims’ feelings against the West and present themselves as the primary defender of Islam and Muslims, most of the victims of those Radical Islamists are Muslims. Muslims account for about 95% of the victims according to some estimates. There are three steps that may diffuse this difficult dilemma. Firstly, a candid conversation with the Muslim communities is badly needed, away from pointing fingers and accusing others of Islamophobia. Secondly, Muslim communities should launch reform movements that deny Radical Islamists the position of leadership in their communities and encourage real integration in the Western culture. Islamic movements that preach hate are detrimental to their communities. Some of them are the Brotherhood, CAIR, American Muslims for Palestine, Muslim American Society and their affiliates. They should be exposed, and some of them should be banned. Muslim communities need to embrace the freedoms of faith and speech and place them above their culture of shame. Thirdly, Western communities, including Christians, should actively reach out to their Muslim communities and help them in their struggle against Islamic extremism. America is like that ship. It would sink if we let any party make a “hole” in order to serve its own agenda.